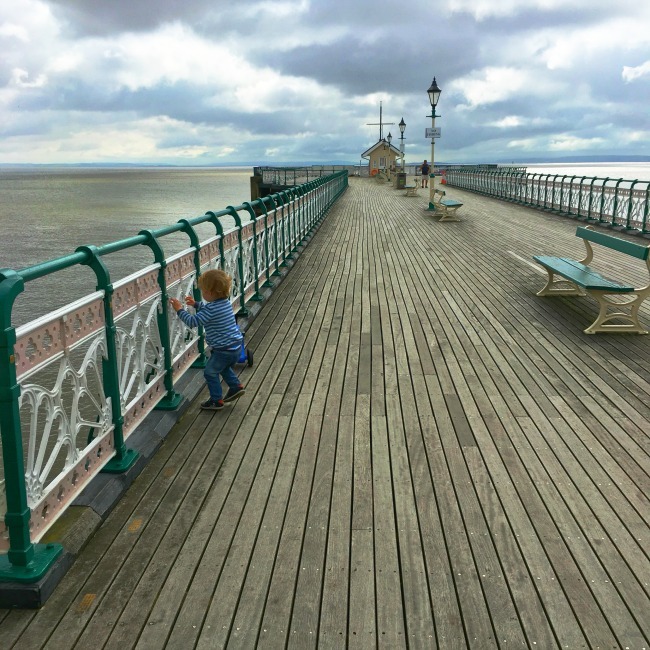 #MySundayPhoto Number 31 this week is of bear on Penarth Pier. The weather forecast was rain all day but we had some glorious sunshine too. I think the risk of rain kept everyone away but that meant it was almost empty. I wonder what Bear is looking at? Photo's like this make me wish I lived by the sea! Lovely framing and leading lines in this shot. It looks cold and like it should be windy but the ocean is flat. Thank you. It was so restful and Bear had a great time. We were very lucky it was empty. Love this perspective. Hope you had a great time.